Remove the right instrument panel accessory upper trim plate. Refer to Instrument Panel Accessory Upper Trim Plate Replacement. Remove the right instrument panel outer trim cover. 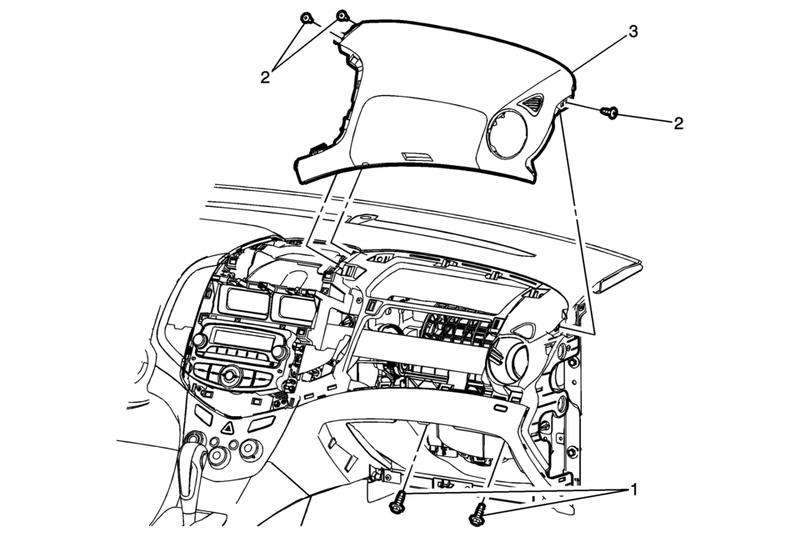 Refer to Instrument Panel Outer Trim Cover Replacement.